The Israel-bashing columnist has a credibility problem. 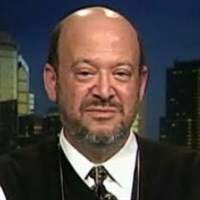 The writer, chairman of the Philadelphia Religious Zionists, is the former executive editor of the Philadelphia Jewish Exponent and the Miami Jewish Tribune. Israeli Army officials reportedly are furious that New York Times columnist Thomas Friedman has accused the IDF of massacring Arab civilians. But what else is new? After all, Friedman's entire career has been built on lying about Israel--including rewriting his own biography in order to smear the Jewish State. In his August 12 column, Friedman wrote: "Israel plays, when it has to, by what I’ve called 'Hama rules' — war without mercy…it will not be deterred by the threat of civilian Arab casualties…" The Times of Israel notes that "While the term ['Hama Rules'] itself comes from Friedman’s book From Beirut to Jerusalem, in his new article he offered no history of the event or explanation for the comparison, apparently assuming the reader would understand the context." Friedman's sense of self-importance is legendary; evidently he assumes that everyone has read and memorized his book. But for those who have not, the term 'Hama Rules' was his little nickname for the policy of then-Syrian tyrant Hafez Assad when he massacred tens of thousands of civilians in the Syrian city of Hama in 1982. So Friedman sees no difference between Israeli and Syrian policy regarding civilian casualties. Israel drops warning leaflets in neighborhoods it plans to strike, individually telephones residents of apartment buildings in the area, and cancels bombing raids if civilians are likely to be harmed. And Syria slaughters people anywhere, anytime, with whatever weapons it has handy. But it's all the same to Thomas Friedman. Such lies should not surprise anyone familiar with Friedman's track record. He was a junior reporter on the New York Times staff when he was sent to cover the Israel-Lebanon war in 1982. He was catapulted to fame by a series of articles blaming Israel for the Lebanese Christians' killings of Palestinians in the Sabra and Shatilla refugee camps, which he then parlayed into a best-selling book, the aforementioned From Beirut to Jerusalem. The major theme of the book, and the many interviews he gave about his time in Lebanon, was disillusionment. He set out, he claimed, as a passionate supporter of Israel ("insufferably so"). He believed "that all the right [was] on one side, and all the wrong on the other, that Israel always behaves in a way that's morally upstanding…I had seen Israel as a sort of utopian society…" But these illusions were shattered "in my experiences as a reporter…I went through a period of disillusionment during my experience of Lebanon and Sabra and Shatilla." According to Friedman, it was Israel's immoral behavior in Lebanon in 1982 that transformed him from a supporter of the Jewish state to one of its most outspoken critics. He bravely discovered the truth about the Israelis, and that gave him the moral credentials to pass judgement on Israel from then on--which is exactly what he proceeded to do, first as the Times' bureau chief in Jerusalem from 1984-1988, and then as a Times op-ed columnist ever since. Friedman did not become a critic of Israel in 1982. He was strongly pro-Palestinian at least eight years earlier, as a leader of a Brandeis University student organization called the "Middle East Peace Group." When the arch-terrorist Yasser Arafat, gun on his hip, spoke at the United Nations that fall, Israeli Prime Minister Yitzhak Rabin strongly protested and hundreds of thousands of outraged New Yorkers held a "Rally Against Terror." Friedman and his Peace Group colleagues published an open letter in The Brandeis Justice (the student newspaper) on November 12, 1974, to denounce the rally and oppose Prime Minister Rabin's stance. Friedman and company declared that the anti-terror rally would "only reinforce Jewish anxiety and contribute to Israel's further isolation." They demanded that Prime Minister Rabin "negotiate with all factions of the Palestinians, including the PLO." Keep in mind that this was at a time when the PLO was not even pretending to be moderate or willing to live in peace with Israel. Earlier that year, PLO terrorists had proudly slaughtered dozens of Israeli schoolchildren in the towns of Ma'alot and Kiryat Shemona. When Friedman graduated from Brandeis, he left the Middle East Peace Group--but the Middle East Peace Group never left him. His news articles for the Times, and later his op-ed columns, consistently exhibited the same negative tilt against Israel. Secretary of State James Baker, in his autobiography, described how he and Friedman were tennis partners, and Friedman would give him suggestions on how to pressure Israel. He credited Friedman for the notorious episode in which Baker publicly humiliated Israel by announcing the White House phone number and declaring that the Israelis should call when they get serious about peace. No wonder the editors of The New Republic, in 1992, characterized Friedman as "the New York Times' State Department spokesman" and as part of "the James Baker Ministry of Information." Ultimately, all of Friedman's writings on Israel are anchored in the myth of the Disillusioned American Jewish Journalist. All of his credibility as a commentator on Israeli-Palestinian affairs rests on the image he concocted in Lebanon of the change from pro-Israel to Israel-basher as a result of what he claimed to have seen there. Brian Williams recently lost his job as anchor of the NBC Nightly News because he falsified his war correspondent experiences. Thomas Friedman should be judged according to precisely the same criteria.